Droning has lately become an excellent hobby and even competitive droning has had some major events this year. Whether it be as a hobby or competitive, you’re going to need a good quality drone and when we speak about good quality, the Yuneec Typhoon H is definitely one of them. Apart from looking awesomely akin to something from the Alien movie franchise, the Typhoon H packs a punch and is loaded with features! 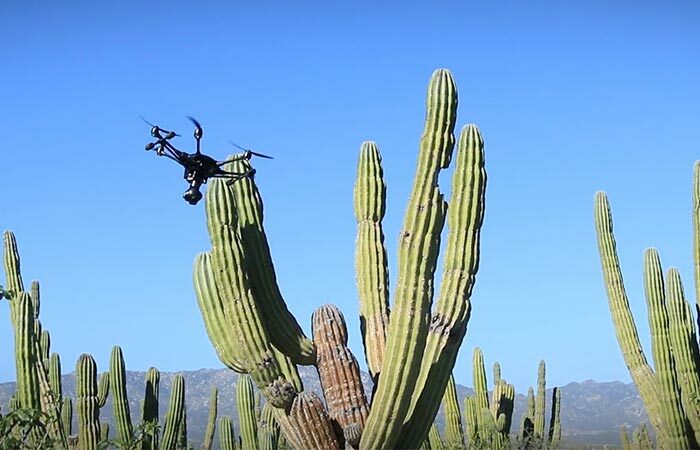 This drone utilizes ultrasonic collision prevention and can easily maneuver around obstacles. This little beast is ready to fly straight out of the box and can fly for 25 minutes at a time while filming with the CGO3+ 4K UHD camera. 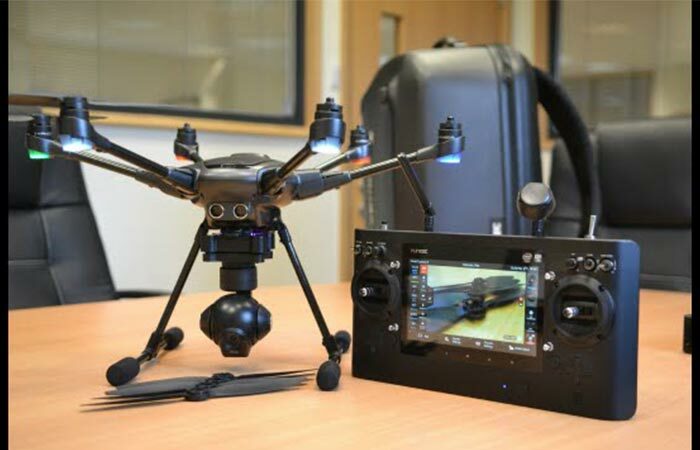 This camera can film in 4K at 30fps and in 720p at 120fps and combined with their latest controller, the ST16 Ground Station, you can control the drone as well as see what you are filming in 720p resolution via the 7-inch touchscreen. Don’t forget to check out the video below. Apart from being able to film in both 4K and 720P, the Typhoon H’s ST16 Control Station features remote 720P viewing via the 7-inch touch screen display. The camera is attached to a 3-axis anti-vibration gimbal that allows your videos to be exceptionally stable as well as your 12.4 megapixel still shots and you can enjoy all of this with unlimited 360-degree motion. The ST16 controller also has an impressive range of 1 mile (1.6 kilometers) and allows you to set a variety of autonomous flight options like orbit me, point of interest, journey, curve cable cam, follow me and home mode that are controlled by Intel’s RealSense technology. 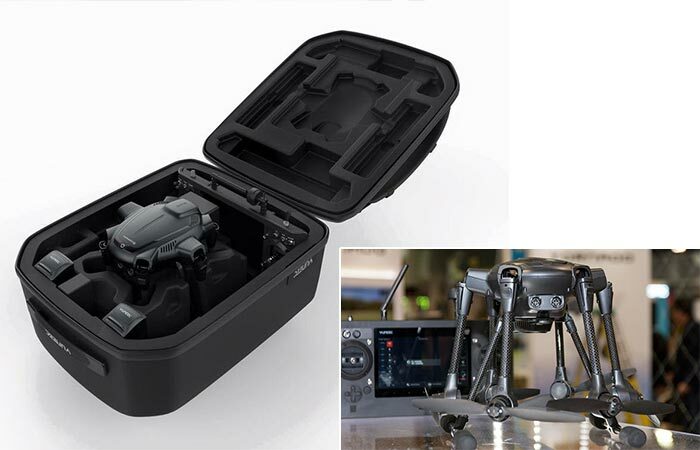 Transporting the Typhoon H is extremely easy as well since the rotors fold down and fit easily into the carry case. To top all of this off, the Typhoon H features 5 rotors and even has an ultrasonic collision prevention as well as downward facing sensors that aid in stabilization as well as giving support in areas where GPS reception is poor.